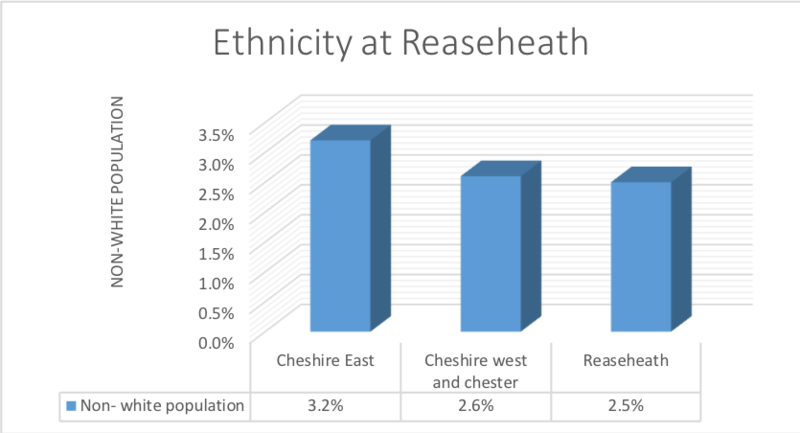 The population of Cheshire contains a very small proportion of non white ethnic groups when compared with the rest of England in general, however there has been growth since the census of 2001.National Census data from 2011 shows Cheshire West and Chester has 2.6% non white residents and Cheshire East has 3.2% compared to the England and Wales figure of 14% and the North West of England figure of 9.8%. Around half the College students originate from the Cheshire area; consequently the percentage of minority ethnic groups reflected in the student population is small. College analysis of ethnic diversity on full-time and part-time programmes in 2016/17 indicates that this stands at approximately just 2.5%. The College continues to actively depict ethnically diverse learners on its promotional materials. Many of the Black, Asian and Minority Ethnic Groups (BAME) students come from the food industry both for HE and full cost courses. Within the learning community, the College has a wide range of age groups represented. 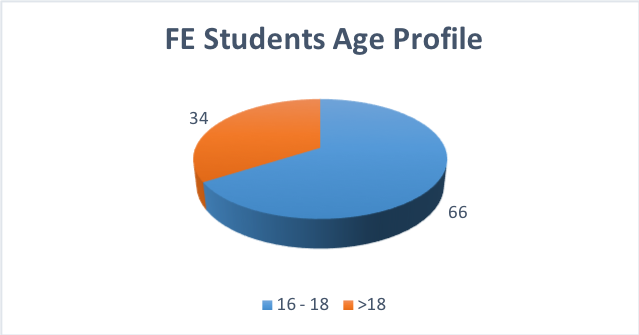 Unsurprisingly, the largest age group of College learners is the 16-18 category with 66% of the student body falling into this category with the large majority of these learners on FE programmes. Within HE provision,59% of learners were 19-23. The College encourages all learners to confidentially declare any disability or learning difficulty to enable appropriate support to be offered. 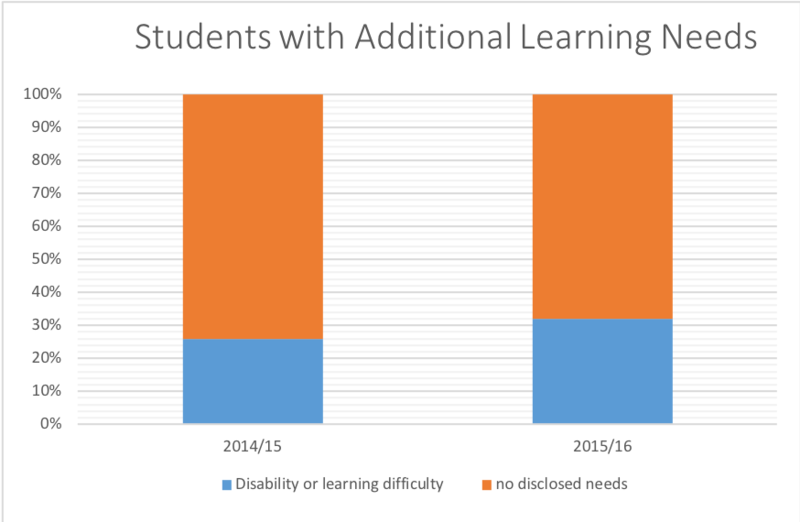 Most students choose to declare a disability or learning difficulty and 32% are identified in this category in 2015/16, a 6 percentage point rise on 14/15. This area of need is an increasing challenge for the College with students on both FE and HE programmes joining us with an ever increasing complexity of learning needs. The College Learning Support Centre (LSC) services FE and Apprenticeship Provision, whilst HE is serviced by the Higher Education Support Team (HEST), with their core aim to provide an environment that supports all properly qualified and able applicants to successfully complete programmes of study, irrespective of physical disabilities and impairments. The College recruits a number of learners who would be considered disadvantaged due to their socio-economic factors, including postcode of residence and eligibility for ‘Free School Meals’ (FSM), which is means tested on parental income. 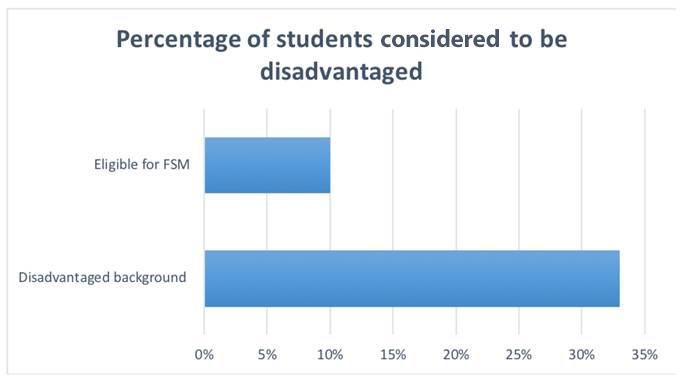 In 16/17, approximately 33% of learners across all provision resided in a ‘disadvantaged’ postcode, whilst approximately 10% were eligible for FSM due to parental income. 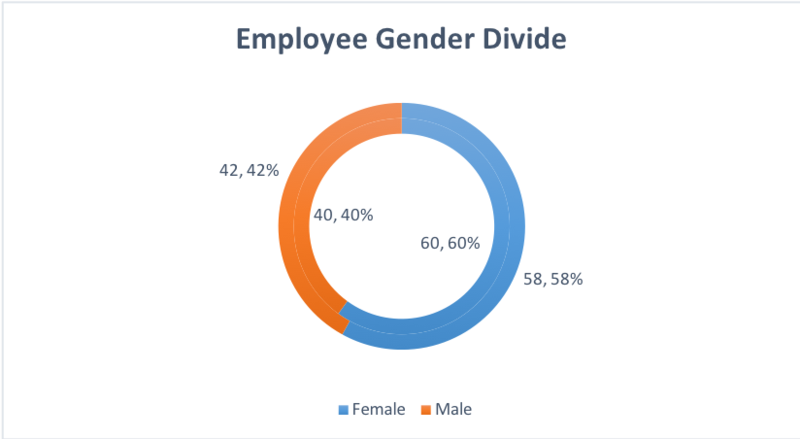 The gender split within the workforce of Reaseheath College is 60% female and 40% male, this is a slight adjustment in favour of female staff over last year’s data which was 58% female, 42% male. The College continues to reflect the demographics of its community. It has seen a further rise in the percentage of 65+ employees. 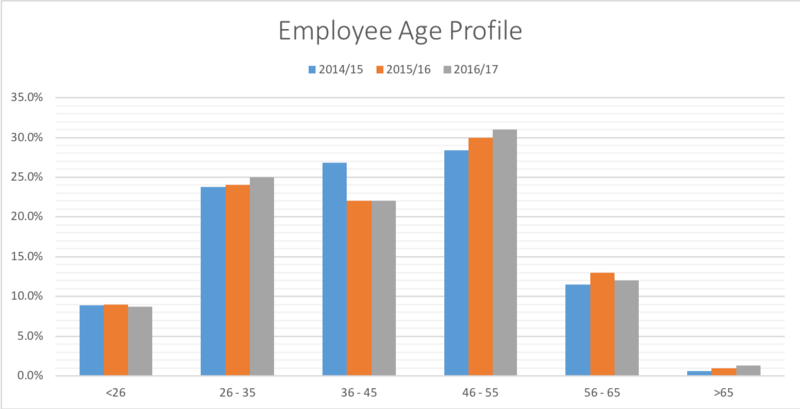 The College employs a broad and balanced range of ages with the median at age 42. 17% of the College workforce is 55 or over and 17% of the workforce is under the age of 30.